Crown Point was a strategic spot militarily and may now be a crossroads for new recreational paths. Photo by Mike Lynch. 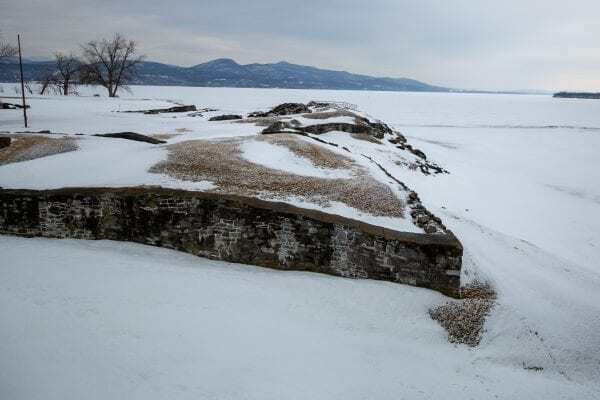 Better than two-and-a-half centuries ago, Crown Point on Lake Champlain was an important military crossroads. Today, the picturesque peninsula is about to become an important recreational crossroads, the intersection of the north-south Empire State Trail for bicyclists and the east-west North Country National Scenic Trail for hikers. It’s also an important migratory path for birds, as well as a major gateway leading to the heart of the Adirondack Park from the east. And in late March, the New York Department of Environmental Conservation and the Office of Parks, Recreation and Historic Preservation took the first step toward drafting a unit management plan that will guide improvements at the Crown Point State Historic Site and the adjoining campground that together are known as the Crown Point Reservation. A plan for the Crown Point Campground and Day Use Area was drawn up in 1997, and has not been significantly updated since. The historic site is being included in the new plan because of its proximity. Both are in the state forest preserve. At a public hearing, some said they were pleased with the operation of the reservation, and asked for more hiking trails, swimming and enhancement of the site’s historical and geological features. But they also sounded concerns about the safety of the Empire State Trail that passes just to the west, and asked that those approaching the High Peaks from Vermont be adequately versed in the principles that guide the Adirondacks, and advised of areas that are overused. There was also concern that any of the 50-some invasive species that live in the Lake Champlain might hop a ride on boats exiting the lake on the campground’s state boat launch, and find their way into other, currently uncontaminated bodies of water. Crown Point serves a broad variety of interests, but is generally considered to have even more unrealized potential. On the east side of Bridge Road are 66 campsites, a historic lighthouse, fishing pier and boat launch. On the other side of the 440-acre site are the ruins of two forts that, even though they did not see much fighting, were of critical strategic importance during the French and Indian War and the American Revolution. 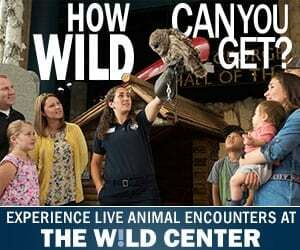 Along with the military history, there are also remnants of an agricultural and industrial past, as well as an Audubon bird-banding station and numerous fossils in the rock that date back hundreds of millions of years. She said an expansion of programing has included bird-watching expeditions, fossil hikes and astronomy nights. Kids have also been treated to ice fishing activities, where they also hear a bit about the history of the area. Just as the site was of strategic importance in the past, Adirondack Council Executive Director Willie Janeway said it is strategic today. 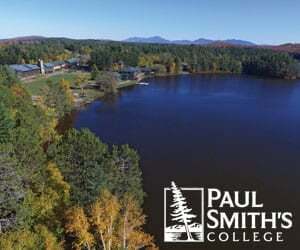 He said he hopes the updated plan will “create a real model for a gateway entrance into the Adirondacks.” An ideal gateway would teach people headed to the mountains about the park’s “forever wild” and Leave No Trace principles, while steering people away from overused trailheads to trails experiencing less traffic. Janeway also said he hopes boats exiting Lake Champlain will be subject to a mandatory washing. As for the Empire Trail, which will pass just to the west, Crown Point Town Supervisor Charles Harrington said he fears bicyclists are being “sent into harm’s way” on the route, which passes through the Rock Cuts, a twisting stretch of poorly paved and virtually shoulderless highway that is tightly tucked between a steep wall of cliffs and the railroad tracks that hug the shore of Lake Champlain. Harrington said he and other supervisors have waved red flags in front of state officials with no response. 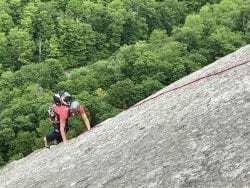 He quipped that he has also invited transportation officials to ride a bike through the Rock Cuts for themselves, but they have declined to do so. Harrington said that bike lanes would be expensive, for much of the route through the Champlain Valley the state’s only expense is signage. He also suggested the possibility of a bike ferry that would bypass the Rock Cuts by routing riders on side roads to the Crown Point historic site and from there ferrying them across Bulwagga Bay to Port Henry. After assessing comments, the state will draw up a draft plan that will be open for public comment periods set by the DEC and, after that, the Adirondack Park Agency. Final approval would occur in the second half of 2021. Rebecca Terry, NYS DEC, 232 Golf Course Rd., Warrensburg, NY 12885, or by emailing r5.ump@dec.ny.gov. The comment period is open until May 31. Art Deco became unpopular in the 1940’s precisely as it was often considered as gaudy and was known to cause luxury.